The HTC 10 is something of a reinvention for the brand, sporting a new design, new features and upgraded specs. But in some ways it’s still not enough of a change and still lacking. That’s not to say it isn’t a great phone, but it’s not quite the knockout hit it could have been and there are a number of areas where there’s room for improvement. So we’ve created a list of the things we most want to see from the HTC 11- a phone which will hopefully dial up the innovation and not just the number. The HTC 10 has only just hit the ground so it’s a bit too early for news of the HTC 11’s release date, but we can take a guess. HTC normally launches its flagships early in the year and 2016 was no exception, though it skipped MWC. For the HTC 11 we imagine we’ll either see it at MWC 2017, which takes place from February 27 to March 2, or a little later in the year, but probably no later than April, as that will be one year after the launch of the HTC 10. 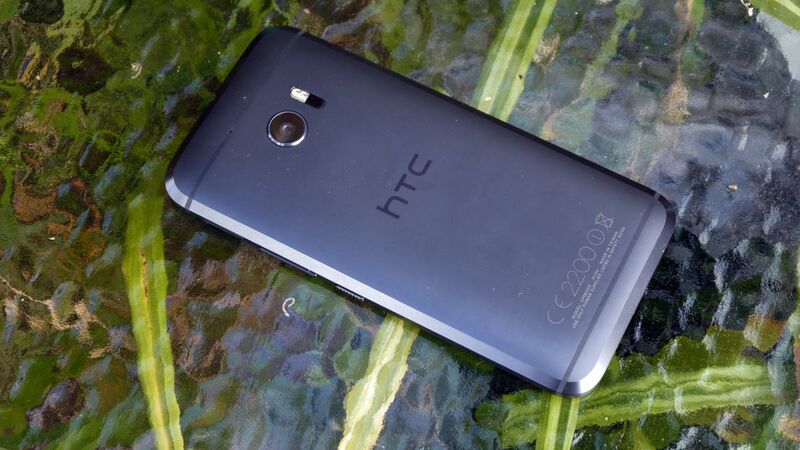 The HTC One was a truly beautiful phone and with the One (M8) and One M9 HTC continued to improve on the design. But eventually it was left with nowhere to go, which is why the HTC 10 is something different. It’s just as premium, with a full metal body and chamfered edges, but it’s a bit more divisive. It’s pretty but it’s chunky and arguably lacks the iconic appeal of its predecessors. So whether through polish or going back to the drawing board we really hope the HTC 11 is a thing of undisputed beauty. The HTC 10 has a powerful camera with a lot of features, but when it comes to just snapping away the results just aren’t as consistently strong as on rival phones like the Samsung Galaxy S7 . We’d wager that most people don’t want to mess around with RAW format and pro mode, so it would be good if the HTC 11 doesn’t just have a powerful camera, but one that’s simple to use as well. Where you can point, shoot and be confident that more often than not what you’ve captured will be in focus and look good. Speaking of the camera, while you can get good shots in some modes, the low light capabilities aren’t special, particularly when dealing with movement. That’s both a shame and surprising, given that HTC handsets typically do a decent job of low light scenes. So for the HTC 11 we want to see a camera that’s good in low light and bright light and every other realistic situation. Audio has long been one of HTC’s strong points and for the most part the HTC 10 is no exception. It supports Hi-Res audio and still has BoomSound speakers. But this time rather than being on the front of the phone they’re on the top and bottom edge and HTC has also split the high and low frequencies between the two speakers, leading audio to sound more separated. We want the unity that comes with dual front-facing speakers please. The biggest complaint we have about the HTC 10 is just that there’s not much to shout about. It’s a good phone, a great one even, but despite supposedly being a reinvention it feels too safe and too plain. However HTC isn’t the only manufacturer guilty of this in 2016. So we want to see HTC take risks with the 11 and give us something new. The HTC 10 brought the company in line with rivals, but it should really be trying to shoot out ahead. Waterproofing is still far from a standard feature on smartphones, but it’s one we’re starting to see more of and that we’d like to see from HTC. If Samsung and Sony can do it then HTC can too and it should, because a spilt glass of water or an unexpected rain shower shouldn’t be capable of destroying an object you’ve just spent hundreds on. HTC has improved the battery for the 10, which is much appreciated given the lacklustre life of the HTC One M9. But it’s still far from perfect. Leave the phone alone and it will last a long time, but once you fire the screen up it starts guzzling down juice at an alarming rate. As impressive as the standby times are a phone is for using, so we want the HTC 11 to comfortably last a day of heavy use at the absolute minimum. For the most part the screen on the HTC 10 is impressive. It’s sharp and has good contrast ratios, but it’s not the brightest display we’ve seen. That’s particularly a problem when the world around you is bright, as it can make it hard to see what you’re doing or watching. It’s a small complaint, but we’d really like it if the HTC 11 could pump up the brightness a bit. Boost+ is a major new app for the HTC 10 and it’s pretty good. It can be used to delete clutter, tune the performance to improve battery life and lock apps. But as good as it is version two could be even better. For one thing the app lock function doesn’t support fingerprints for some reason, so that’s something that could really do with being added in. It could also do with more game features. It lets you lower the resolution, but we’d like to see an option to lock the home button like you can on the Samsung Galaxy S7, so it doesn’t accidentally get pressed. The app should also be more proactive- alerting you to when and how you can best optimise your handset. It’s a good start, but we hope the HTC 11 version will be better. BlinkFeed was once a standout feature of HTC’s handsets but it’s failed to evolve much and the direction it has headed in, with News Republic now handling both headlines and social networking, has made it rather cluttered and messy. Other than that Sense is a sleek interface, so we’d like to see BlinkFeed fall in line. For now, you can always turn it off, but if HTC is going to offer a feature we want it to feel polished and useful.